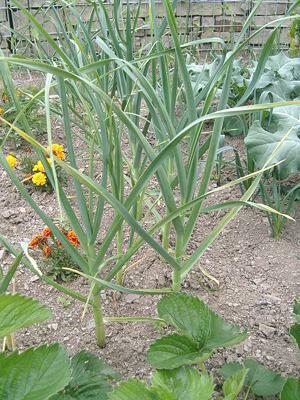 Garlic (Allium sativum) is a common bulbous plant that is popular for its culinary and medicinal uses. It is endemic to central Asia, but can also be found in the cuisine in the Mediterranean region, and is also used extensively in Europe, Asia, and Africa. 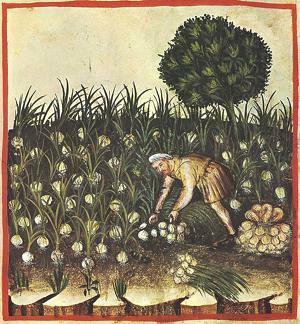 Because of this, you can find garlic cultivated all over the world. You can also find garlic in many forms. Apart from fresh garlic, you can find it frozen, pre-cut, fermented, dried, or bottled (especially in oil). It’s very easy to find, making it a very handy ingredient for home remedies. With that in mind, let’s explore the health benefits of garlic. Garlic is a natural broad antibiotic. Unlike pharmaceutical antibiotics, your body cannot build resistance against garlic’s antibiotic properties. Because of this, you can use garlic as an antibiotic repeatedly, without worrying about the germs, bacteria, and fungi in your body becoming stronger against it. Garlic can prevent heart disease, including prevention of high cholesterol and high blood pressure. Garlic supplements are proven to reduce the buildup of cholesterol in vascular walls (Sovova & Sova, 2004 Link: http://www.ncbi.nlm.nih.gov/pubmed/15218732) and reduces plaque deposits in the aorta. It can help prevent and fight the common cold. There is a long tradition in herbal medicine for using garlic to treat and prevent coughs and cold. Garlic helps regulate blood sugar levels. It’s proven to have an effect lowering blood sugar and preventing complications from diabetes. This comes from the regular use of aged garlic extracts. It is a proven antioxidant. This is especially true of aged garlic. It prevents the formation of free radicals and helps repair natural body damage. Dice a bulb of garlic and add to two quarts (approximately 2 liters) of water. Boil in low heat for an hour. When finished boiling, strain it and sip as needed. 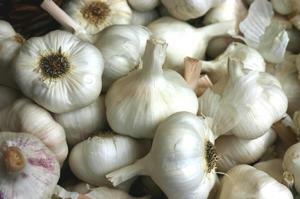 b) Using garlic as an antibiotic ointment to treat cuts, wounds, and fungal infections. Take 4 ounces (113 grams) of garlic cloves and combine it with 1 pint of oil, such as olive oil, safflower oil, or pure vegetable oil. Gently heat it for an hour. Do not cover it. Add 1 ounce (28 grams) of beeswax as the mixture heats. Once this concoction is done, you can place it on the intended area like you would a typical ointment. Alternatively, you can eliminate the beeswax and use it as an oil. c) Using garlic spray as a mosquito repellent. Since garlic is also useful as an insect repellent, you can make a spray to protect yourself and your family against mosquito bites. Chop around 4.2 ounces (120 grams) of peeled garlic cloves. Mix it with 2 tablespoons of paraffin or mineral oil. Add 0.7 ounces (20 grams) of soap powder. Mix the above concoction in 16 ounces (1/2 liter) of water. Pour it into a glass jar. Leave it to stand for 2 days. Then, strain it and transfer it to a spray bottle. Once you’ve transferred the mixture to a spray bottle, you can just spray it on the exposed areas of your body to prevent insects such as mosquitos from biting or irritating you. Damage or irritation to your digestive tract. It can cause botulism if stored in oil at room temperature. It can interfere with anti-coagulant medication used in surgery. Also, before you use garlic in your home remedies, make sure that you aren’t allergic to it. As you can see, there are many health benefits to taking garlic. If you prepare it responsibly, you can use garlic as a quick home remedy for common health problems and ailments.